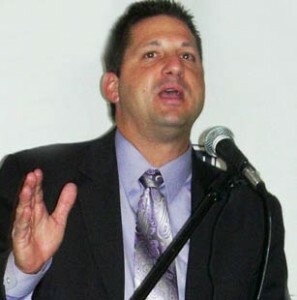 John Guandolo will headline the June 12 Freedom Leadership Conference to alert Americans of the new threat to our freedoms from radical Muslim advocates of Sharia, which seeks to replace the Constitution and destroy America’s freedoms from within. The Conference is a private monthly conference of outstanding conservatives who have volunteered their time or their donations to support various conservative causes. The June conference is co-sponsored by one of the conference founders 14 years ago, United States Intelligence Council, and UnderstandingTheThreat.com, which is the platform from which John Guandolo regularly publishes articles and studies about the Islamic threat to America. New “provisional” (temporary) memberships are available to those who wish to attend one of the monthly meetings and to be considered as a member to be invited to future monthly meetings. Everyone must reserve their spot at RSVP@FreedomLeadershipConference.org or at the eventbrite page established for current Conference members HERE. Only those who have advance reserved their spot are admitted. A voluntary $5 donation is requested at the door to help defray meeting expenses. The June 12 Conference is at a location in Northern Virginia which is disclosed to current members and provisional members who have had their application approved. The Conference always begins at 7 PM with a coffee and desert social and adjourns at 9 PM. The Conference’s Leadership Council meets for dinner at 5 PM with the keynote speaker at a nearby restaurant (membership in the Leadership is only open to those who have already attended one or more meetings). There are no dues or membership fees for the Conference. Guandolo has objected most recently to the Obama Administration’s attempt to silence any free speech in America which criticizes what they call defamatory language against Muslims. For example, he recently cited the call by U.S. Attorney for the Eastern District of Tennessee, William Killian, for publicly saying that criminal punishments may be required to silence such criticism of the advocates of Sharia Law in the United States. The rise of Islam in the United States, founded on Judeo Christian principles by Christians who are the most tolerant of any religion in the history of the world, is a fact. The United States has been on the path of Great Britain, France and other European nations, which now have so many adherents of radical Islam that their culture and political life has been radically transformed. Whether as a result of more liberal Republican leaders unwilling to be seen as too confrontational or the result of President Barack Obama’s keeping his promise to “transform” America, the facts are irrefutable. From 2003 through 2012, the United States admitted 1.3 million, new, legal immigrants from Muslim-majority countries whose faith doctrine is radically opposed to the beliefs and history of the United States. About 850,000 of that wave of newcomers has since become citizens. These are not people who believe in the traditional of new immigrants “assimilating” to become part of America. Those attending mosque, the center of training and culture for Muslims throughout the world, has risen from a half million in 1994 to 2.6 million in 2011. An 87 percent majority of Muslim leaders do NOT agree that radicalism is increasing among Muslim youth. However, despite their claims, in the eight years following the radical Muslim attack of 9/11, there have been 20 homegrown violent jihad plots or outright attacks in America. In the past four years, as reported by the Congressional Research Service, that number has increased to 40 plots or attacks. And yet, these violent attacks are but the tip of the iceberg in the growing threat to America’s freedoms, and that is the major point that will be emphasized by John Guandolo next Wednesday, June 12 in his keynote remarks to the Freedom Leadership Conference. Guandolo’s credentials to speak to this issue are most impressive. *former Counterterrorism Division of FBI’s DC Field Office focused on Muslim Brotherhood, Islamic Doctrine, the global Islamic Movement and terrorist organizations including Hamas, Al Qaeda and others. *With Guandolo Associates LLC, he advises governments (U.S. and others), the intelligence community, military, National Guard, key community leaders & others on matters relating to national security and the threat from the global Islamic Movement. *a frequent guest on TV and radio and his articles appear in various outlets. John has also spoken at various local, grassroots conservative gatherings in recent months, such as the Fair Lakes (Northern Virginia) Tea Party. By special arrangement, Guandolo will also appear on the radio talk show of one of the conference’s founders, Jon Moseley, at 3:30 PM today, June 5 in Philadelphia, PA. The show can be accessed via the internet HERE and click on the button “WNJC Radio” at the top of the website. Jon Moseley has been a past speaker at the Freedom Leadership Conference, and is Executive Director of the July Freedom Leadership Conference sponsor, American Border Control. John Guandolo’s appearance on the “Conservative Commandos” radio show of Jon Moseley will give you an advance on his planned keynote remarks at the June 12 conference next week where he will speak in behalf of the sponsors, United States Intelligence Council and UnderstandingTheThreat.com. The conference will also hear from David Denholm, President of Public Service Research Foundation, to announce the latest “Saul Alinsky Smear Conservatives” award. Denholm is widely regarded as the conservative resident expert on the Alinsky methods as practiced by Barack Obama (a former Institute Instructor) and by Hillary Clinton (who wrote a college paper on the subject and was then offered a similar position). For those who are already members or who have already been approved as Provisional Members, advance reservation (required for admission) may be made HERE. Those who have not yet made application may submit their request at RSVP@FreedomLeadershipConference.org. A report on the May 15 Conference was issued last week, Larry Pratt blasts liberal anti-gun elite, Freedom Leadership Conference sponsor Gun Owners of America, does “great damage” to Obama gun control effort complains NY Times, click HERE. The Freedom Leadership Conference has a new sponsor each month, for which there is no fee or charge, except if the sponsor chooses to upgrade the location. 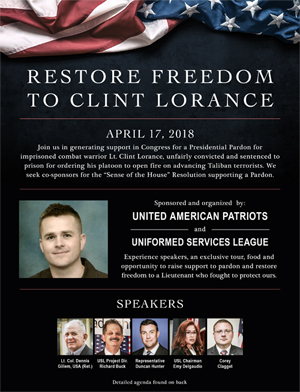 Two sponsors which have done so, and which had the largest attendance of the past year, are United States Intelligence Council for the December Conference (see report HERE), and Gun Owners of America for May 15 (see report HERE). If you wish to suggest a sponsor you may forward a link to this article (and your own cover note) directly to the sponsor, which is given a half hour to present their own speaker, or you may write to us at RSVP@FreedomLeadershipConference.org with your suggestion.